We’ve been keeping ourselves busy these last few weeks! In between photographing Christmas cards in June and Amusement Parks in September for next summer season, we took another step into the wonderful world of videography. Here, we are on set for a TV commercial to be aired nationwide. There is a great deal of skilled people and a highly creative set of minds that go into advertising. On any given shoot, you have the Director, Videographer, Client, Copywriter, Sound Guy, Grip, Talent, Hair and Wardrobe Stylists, Set Stylists, Extra Hands… and that’s just to name a few. Why is our actress standing in front of a giant green screen? It is for movie magic in the making. 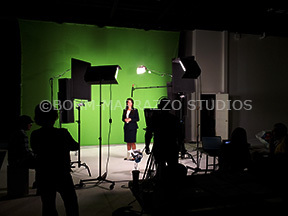 With a green screen, you are able to put your subject in whatever environment you choose. She could be standing on a beach in Jamaica, or in the middle of the Kentucky Derby! We will keep you posted on more of our adventures… in the meantime.. stay creative! Photo #8: Mandy, the Schipperke. 1. The matching hairstyles on the little girl and Mandy are the greatest! 2. Who doesn’t have a childhood photo in a sailor costume? 3. How incredibly tough, yet gorgeous they both look. We’ve been doing some spring cleaning! We opened our drawers, filing cabinets and trunks and started going through some old film, slides and negatives from back in the day when there were no digital cameras, and definitely no photoshop! Hey! Remember that time when we decided to go through a disastrous box of old slides and negatives!?! 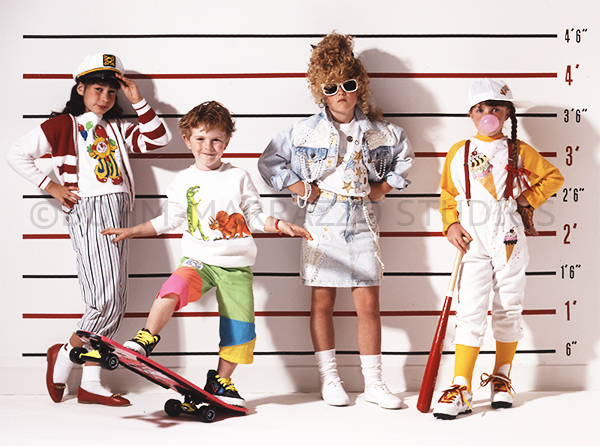 … well, we definitely came across some awesome photos from the past! Introducing our new series of “We found them in a box” photos — Every week we will post a new fun find — let us know what you think, how they make you feel (old, perhaps? ), or simply that you’re just as curious to see more as we are!